KTunerFlash V2 Is Now Available! An All-In-One Solution Supporting All KTunerFlash Applications. 5" Touch Screen Display, Real-Time Data Display, Multiple Tune Storage, On Board Logging, And More. KTunerFlash V1 To V2 Upgrade! Upgrade Your KTunerFlash V1 To A V2 Unit! Only $249. Click For Details! Upgrade To Revision 1 Today! 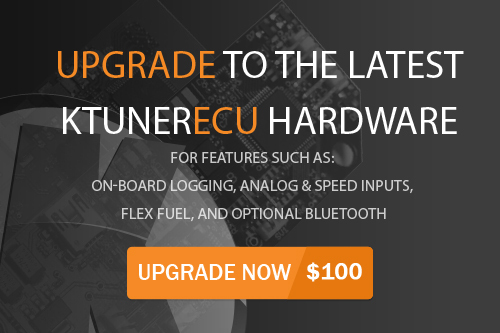 Want To Upgrade From KTunerECU Revision 0 To Our New Revision 1 Hardware? It's Just $100 Plus Shipping To Get Started! It’s pretty cool and very configurable. Take a quick look on our software overview page. For the older swap vehicles we have in-ECU hardware that gets installed directly into the ECU for direct developmental access to the main processor. 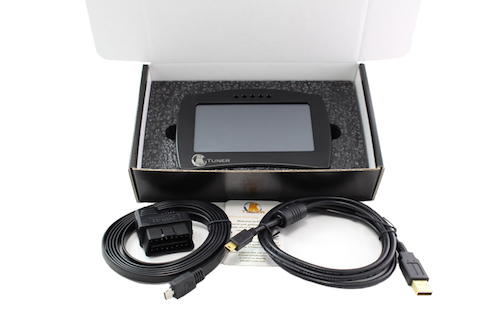 For newer flash based vehicles we have J2534 compatible hardware that plugs right into your OBD2 port. This J2534 interface allows you to develop your own applications to access ECU information directly for research and development purposes. We only allow our proven compatible J2534 interface to be used with our software so that it is guaranteed that you can flash back to the factory software when testing has completed. For more information and pricing see our KTuner products page. Where can I get the KTuner R&D package?